Botox injections are used not only for therapeutic purposes but for cosmetic ones too. Unlike other fillers, which are superficially injected just beneath the skin, Botox is injected directly into the muscle. Because Botox is made of a neurotoxin, it blocks signals between the muscle and the brain, ultimately preventing muscle contraction in a localized area. When the muscle relaxes, wrinkles smooth out and soften. Performed correctly, these injections only affect targeted muscles while still allowing for facial expression. Botox can be used for any type of wrinkle that has not been caused by sun damage or stretching of the skin due to gravity. Results are usually best on expression lines, such as those around the eyes and forehead. Am I a candidate for Botox treatments? If you are between the ages of 18 and 65, consult with your dermatologist to find out if Botox is right for you. The best candidates for cosmetic Botox treatments are usually men and women bothered by facial lines and wrinkles – particularly those along the forehead and between the eyes. You should not get Botox injections if you are pregnant or breastfeeding, or if you suffer from any type of neurological disease. Botox injections are in-office procedures performed in just a few minutes. In fact, you can schedule a Botox injection for your lunch hour or on your way home from work. 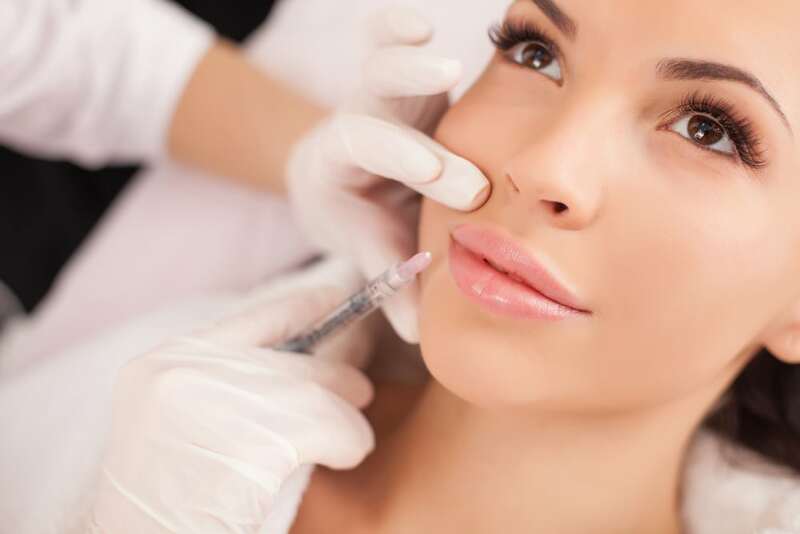 Injections use a very fine needle, which is inserted into the facial muscles. There is very little discomfort during the injection, and anesthesia is necessary. There is a minimal recovery period of approximately 48 hours after getting Botox. During this time, you may experience bruising or headaches. Avoid rubbing your face in areas treated with Botox, and do not lie down for the first few hours after the injections. Keep in mind that results from Botox – though significant – usually begin to fade within 4 to 6 months. You’ll need to return for retreatment periodically.